If a hurricane came to NYC, would you know what to do? 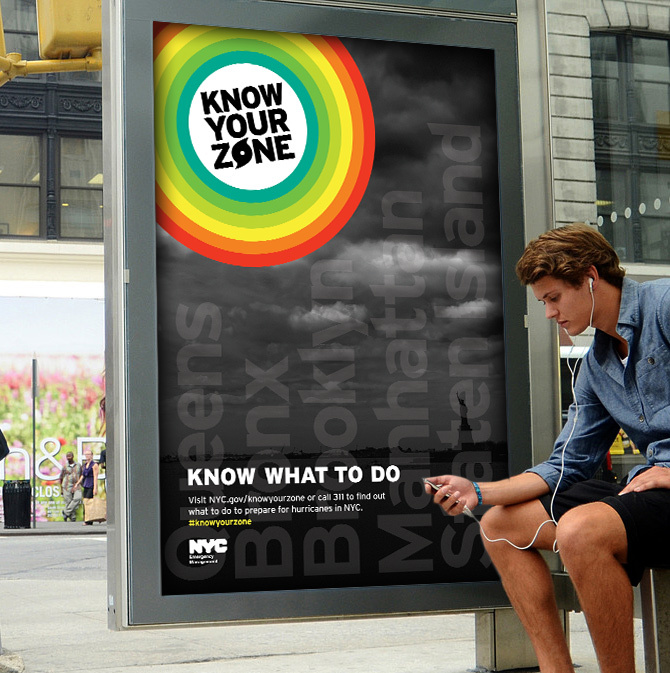 Know Your Zone, our ongoing project with NYC Emergency Management, helps New Yorkers prepare for a disaster before it strikes. Now in its second year the campaign, focused on community engagement, launches on 1 June 2016 to mark the beginning of Atlantic Hurricane Season. 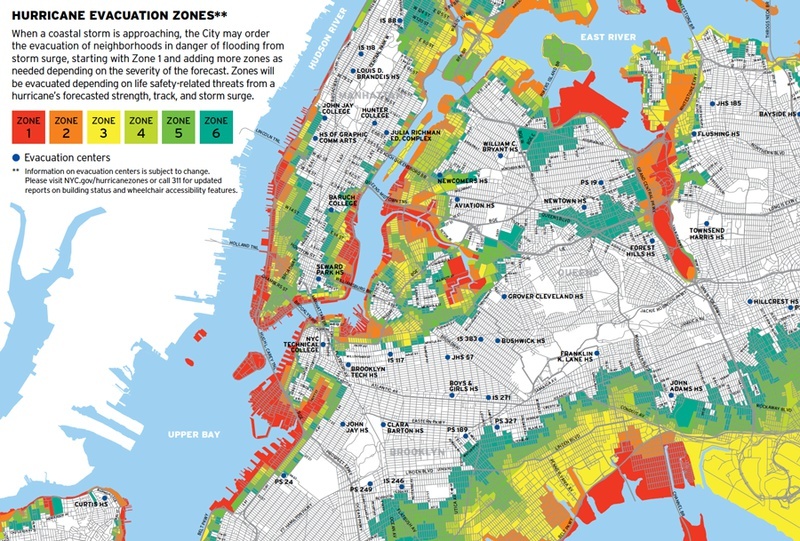 Know Your Zone identifies NYC's six hurricane zones—ranked in order of risk—that may be evacuated if coastal storms become hazardous. 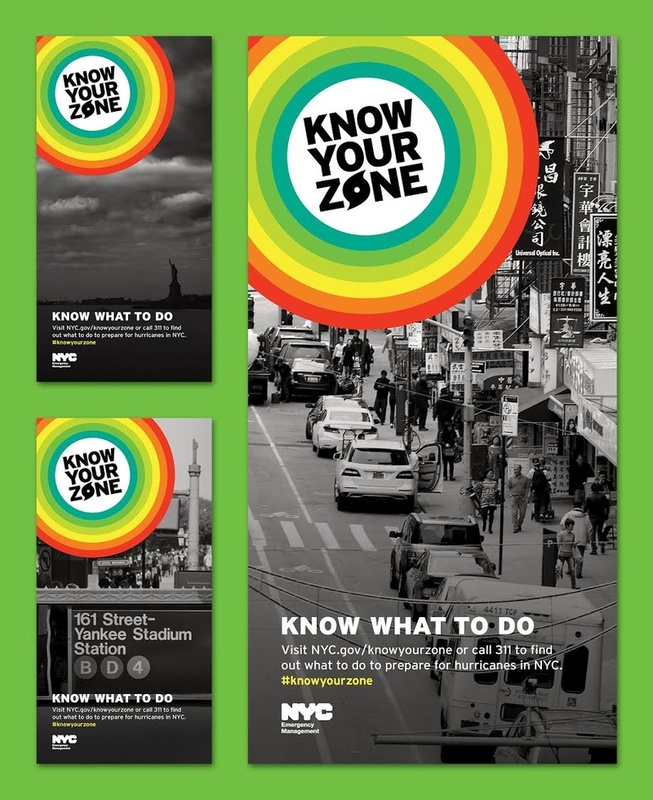 C&G developed the zone color scheme, brand identity, and awareness material so New Yorkers can pinpoint the zones they live and work in. This year the campaign focuses on engaging communities in each of the six regions and features a series of area-specific poster designs. In Staten Island, door hangers will be placed on residents' homes located in hurricane evacuation zones. 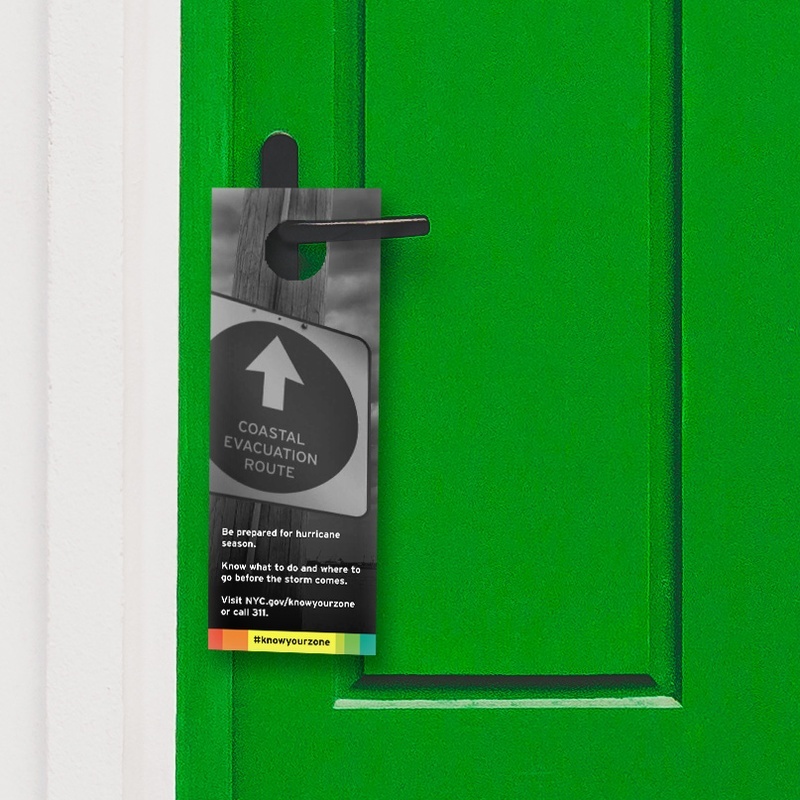 The door hangers are designed to inform residents about the new coastal storm evacuation route signage that is being posted in the borough, as well as hurricane preparedness messaging. 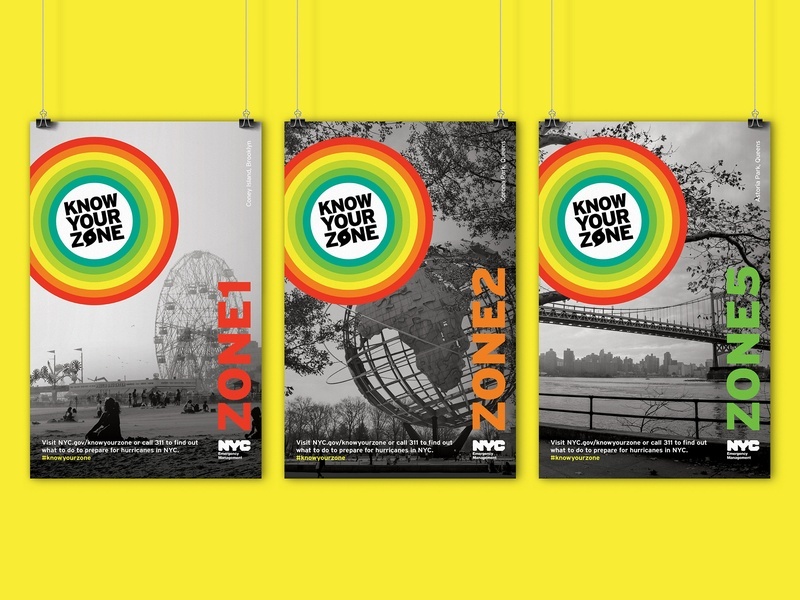 Along with fold out brochures and system of bus ads across the five boroughs,newspaper ads were developed to be placed in over 200 language-specific papers from Weekly Bangalee to Caribbean American Weekly, giving the City's diverse communities the chance to know their zone. Thanks to NYC Emergency Management's continual efforts in providing support and relief to those in need, New Yorkers have proven resilient. Preparing for disaster is no small task and C&G is honored to serve our City. Help us spread the message!